Our Gingerbread Man Milky Way Soap Mold may look like the real thing, but this one's not for eating. Gingerbread men are a common holiday treat and bring some spice to your soaps. 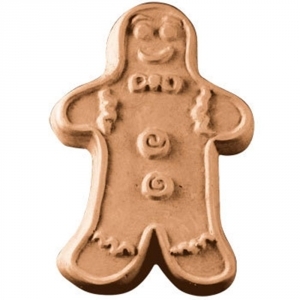 Soap Bar Dimensions: 4" x 2.5" x 1"
Notify me when Gingerbread Man Soap Mold is in stock.